People have been using enzymes for thousands of years, or at the very least using microorganisms which produce enzymes for various uses. Beer and bread-making are two examples of this. People in the business of making these food products talk about using yeasts and cultures. However, the real functionality comes from the enzymes that the yeast and cultures are producing. Today, instead of using only yeasts, specific enzymes are added to the mix to achieve a superior product. Nalco Water and MetGen Oy offer their own specific knowledge to the pulp and paper industry, offering enzyme-based technologies for board and tissue manufacturing. 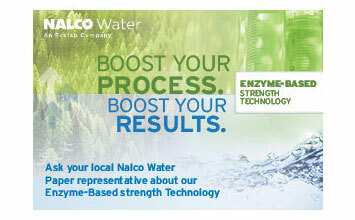 Nalco Water and MetGen unite to offer enzymatic chemistry fully integrated with one’s process. As catalysts, enzymes make biochemical reactions happen at a lower activation energy than they would otherwise. In most cases, the essential reactions would not happen at all without the help of enzymes. As a result, products are formed at a higher rate and reactions reach their equilibrium state more rapidly. Most enzyme reaction rates are millions of times faster than those of comparable uncatalyzed reactions. Enzymes have clearly defined and understood interactions with the target molecule, or substrate. The substrate which is to be transformed, fits the enzyme like a key in a lock. The specificity between enzyme and substrate, means that you do not have to worry about what will happen when enzymes are added to an industrial process; the enzyme or enzymes tailored to address the challenge, will only target the substrate of interest and leave other process chemistries unaffected. When an enzyme does the job, there are no side effects. “There are enzymes and there are the MetGen enzymes. The MetGen enzymes are less aggressive towards the fiber surface compared to traditional enzymes from other suppliers,” explains Nalco Water’s Scott McLaughlin, global technical specialist, Pulping and Recovery. The MetGen enzymes are a tailored made multicomponent interacting not only with the cellulose but also with other fiber components including the hemicellulose and lignin. The MetGen enzymes are specific, they chemically modify the carbohydrates, lignin and other component of the cellulosic biomass. They do not degrade the cellulose to sugars and can perform over a wide range of conditions. Therefore, the MetGen enzymes can deliver an enhanced fiber surface leading to a better paper sheet. Developments in biotechnology for the pulp and paper industry have been studied for more than 20 years. In the past, knowledge about enzyme mechanisms for different applications was limited and production of the appropriate enzymes at a commercial scale was rather costly. It has only been within recent years, that we have been able to produce enzymes at an acceptable cost and achieve a more in-depth understanding of how enzymes work in the degradation of wood and wood components. In considering the target furnish, the physical conditions of the process (e.g. temperature, pH, contact time, etc.) and the desired result, it becomes possible to tailor a treatment to the specific need. “The use of enzymes in the pulp and paper industry has grown extensively in the past ten years and will continue to expand in the near future,” says Axel Degremont, lead of the enzymatic portfolio integration at Nalco Water. The use of enzymes is interesting and attractive for several reasons – Enzymes are produced from natural, renewable sources with low energy requirements, they are easily recycled in the environment and they are specific to the materials they act on. Therefore, their use can be carefully targeted with few unwanted or unexpected side effects. 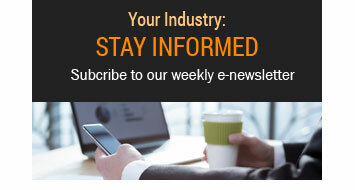 The packaging industry continues to face new challenges. Stricter environmental regulations, global competition and new market-driven demands for better strength properties and improved printability, will encourage changes in production technology and processes. 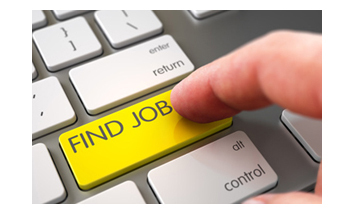 Enzymes are among the new technologies that can help the industry to reach new objectives. “We have one example of a client who produces recycled board 100% from old corrugated on a single layer machine. The use of a the MetGen enzymes allowed this client to increase speed while maintaining the strength of the sheet. In fact, the speed was up by 4% and all properties were maintained. For another client using a cylinder machine whose production was limited due to refining; the enzyme solution provided a 6% production increase while maintaining strength properties. In a second case study, Nalco Water worked with a tissue mill that used recycled and virgin fiber in its furnish in order to achieve certain tensile properties. With a tailor-made enzyme solution, the mill was able to remove 10% of virgin fiber and reduce refining energy by 60%. The direct savings for the mill attained $40 per ton. Nalco Water has been providing wet-end chemistry solutions to the pulp and paper industry for many years. In 2011, Nalco Water was acquired by Ecolab, the global leader in water, hygiene and energy technologies and services that protect people and vital resource. In 2017, Nalco Water signed a partnership agreement with the Finnish company MetGen, a leader in enzymatic solutions. “We are very proud of this partnership with MetGen. They specialize in enzymes engineering and we, as a solution provider to the pulp, paper and packaging industry, can integrate this chemistry in mills,” explained Fouad Moukannas, engineer and district manager, Paper Division. “MetGen is a new name in pulp and paper but is well-known and recognized in its industry. Together with Nalco Water, we bring credibility and respect to the industry,” added Moukannas.